In Steve Martin's Object of Beauty, narrator Daniel Franks tells the story of Lacey, a beautiful, manipulative and cunning woman working her way up the ranks in the high-class art world of New York. From Sotheby's to a private dealership to her own gallery in Chelsea, Lacey moves without a moral compass, making decisions based on what is best for her--and her alone. Though she's not particularly likable, her story is riveting, and through her tale, readers are treated to a glimpse of the highbrow art world in New York and internationally. Martin writes of Lacey, "She started converting objects of beauty into objects of value." This one statement encapsulates the role of art fraud in our lives; drawn to objects of beauty, we are inclined to turn them into objects of value. And so it is not surprising that Claire Roth, in B.A. 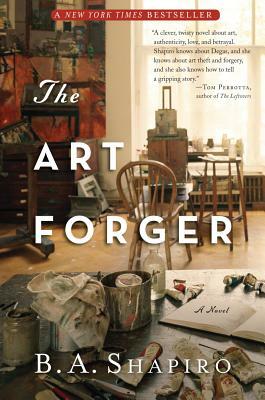 Shapiro's novel The Art Forger, is using her considerable skills to forge art for a reproduction company. She agrees to forge a stolen painting in return for a one-woman show in a famous gallery, but as she stares at the Degas in front of her, she begins to suspect that it may be a forgery itself. What follows is a suspenseful story that sheds light on the world of art and the art of forgery. Caveat Emptor: The Secret Life of an American Art Forger presents a nonfiction view of this same insular art world. Ten years ago, an FBI investigation led down a trail of fake paintings, until the case was inexplicably halted. Now, after the statute of limitations on these crimes has expired, Ken Perenyi has confessed to the forgeries--in writing. 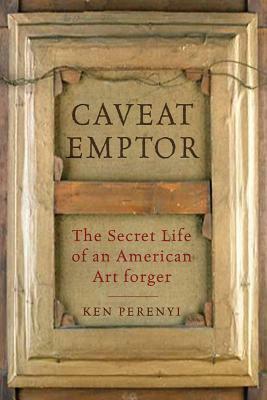 Caveat Emptor is his story, treating readers to the tale of how Perenyi became the country's top art forger. This column originally ran in the Friday, July 26th issue of Shelf Awareness for Readers. If you don't already subscribe, sign up here to receive a bi-weekly dose of readerly goodness in your inbox. What do you write in your books?